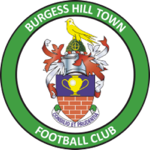 Burgess Hill Football Club was founded in 1882 and was a founder member of the Sussex County Football Association. The club attained the unique achievement of winning the Sussex Senior Cup three years running thus retaining it permanently in the process. The cup is on display in the trophy cabinet in the club boardroom. The current trophy was presented to the S.C.F.A. by Burgess Hill Town Football Club. In the club’s formative years they were also founder members of the Mid-Sussex Football League, and won the League Championship in its inaugural season. Following several successful seasons the club joined the Sussex County League for the 1958–59 season, and stayed until attaining promotion to the Southern Football League in 2003. In 1969 the club amalgamated with Worlds End F.C. 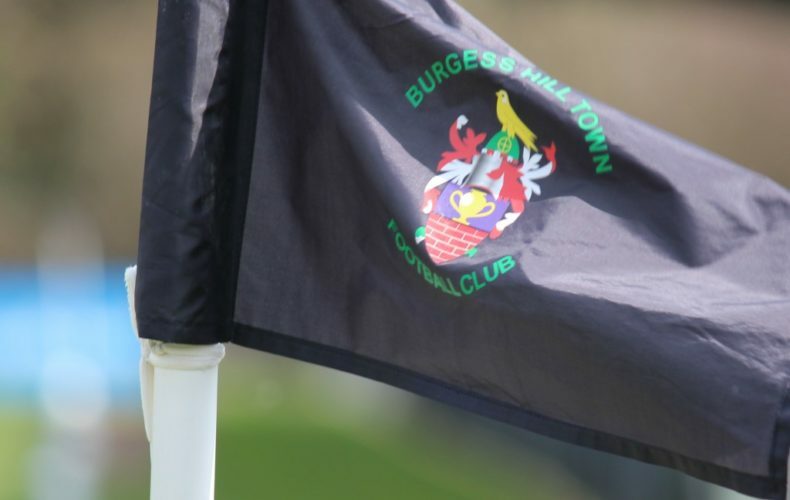 and with the help of Burgess Hill Town Council were able to move to Leylands Park, the club’s current home. In 1971, the club gained promotion to Division One, only to be relegated two seasons later. 1974 saw the ‘Hillians’ reach another landmark achievement by becoming the only club ever to have won both the League Challenge Cup and the Division Two Cup in the same season. In 1976 a hat trick of achievements were completed by winning the Division One Championship by six points, having secured the Division Two title the previous season. During the ensuing twenty years in the top flight of the County League success was modest. In 1980 the League Challenge Cup was secured and in 1992 the RUR Cup was added. However, all this changed in season 96–97 under the guidance of club manager, Alan Pook. The club became Division One champions by twelve points, won the Floodlight Cup, and were runners up in the League Challenge Cup. The 2nd XI finished runners up in the Reserve Premier and won the Mid-Sussex Charity Cup, while the Youth XI won their overall championship. In 1997–98, the club 1st XI attained even more success by again winning the League Championship and the League Challenge Cup, also reaching the last sixteen in the F.A. Vase. Additionally they reached the Sussex Senior Cup Final and were top of the county’s merit table. The Youth XI also finished as ‘Double Champions’ in the sector. 1998–99 season saw the Hillians achieve a unique treble in winning the Championship for a post war record third time and again securing a league and cup double, back to back. The 2nd XI won their cup and were runners up in the league, missing out by a single point. Not to be out done, the Youth XI won their league and only missed out on a double by goal difference. All in all an historic season. The club then welcomed new manager, Gary Croydon for season 1999–2000. He led the Hillians to take runners’ up spot in the league and to a record fourth qualifying round FA Cup tie against Hereford United. Again, a last 16 place was achieved in the FA Vase as well as winning the RUR Cup and the Floodlit Cup. For the next few years the Club established itself as a Ryman League club with a few mid table finishes and twice just avoiding relegation. In 2011/12 with the Hill struggling and with seven games to go Manager Simon Rowland was sacked and GK Coach John Rattle was put in charge. The club survived relegation with victories in the last two games of the season against Whitstable Town and Dulwich Hamlet FC, both 1-0. 2014/15 saw the Club enjoy the greatest season in the Club’s History. Ian Chapman’s side were unbeaten in the league until mid – March and went on to win Ryman League Division One South title by 11 points and gain promotion to the Ryman Premier League for the first ever time. They also equalled their best – ever FA Cup run, eventually losing away to Dartford in the 4th qualifying round but having gaining a memorable 3-1 victory at Sutton United in the previous round. In the FA Trophy, the club reached the 2nd round, finally losing at home to Dartford FC. In the previous round the team had beaten Aldershot Town of the National League 1-0 away. A confident start to the Hillians first season in the RPL before Christmas saw the team 8th in the league, but a disappointing second half saw them finish in 20th position. The club avoided relegation due to Farnborough FC being relegated for financial irregularities. The following two seasons saw the Hillians avoid relegation on the last day of the season to keep its Isthmian Premier status. The Hillians did enjoy excellent cup runs in the FA Cup both seasons narrowly missing out on the FA Cup 1st round proper. The Club has learned plenty since stepping up both and off the field with further improvements made to the ground and the clubhouse the club is committed to establishing itself in the Isthmian Premier league for years to come.